We’ve been on a steady post-gender trend, but it wasn’t until this year that the impact of unisexuality has truly made its way into the mainstream. Hip-hop has a sometimes-unfortunate history of being dominated by machismo conservatism. But we live in a modern world where the ‘norm’ is always changing. A wave of prominent and emerging artists has not only debunked the dated ethos through experimental music but through their choice of post-gender fashion. Kanye West has always been vocal about his love of fashion, and he was definitely on this unisexual train (before it was cool) when he killed it in that leather skirt. Though it attracted a lot of silly attention and controversy at the time, that skirt kicked off the amazing trend of eschewing gender boundaries in street style. 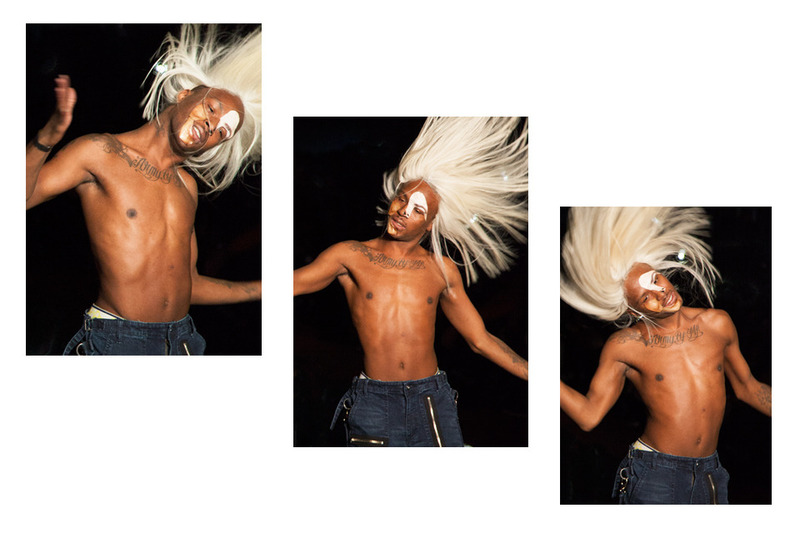 At Coachella, we saw Kid Cudi step on the stage in a male crop top, and André 3000 performed his second Coachella set in a long platinum blonde wig. 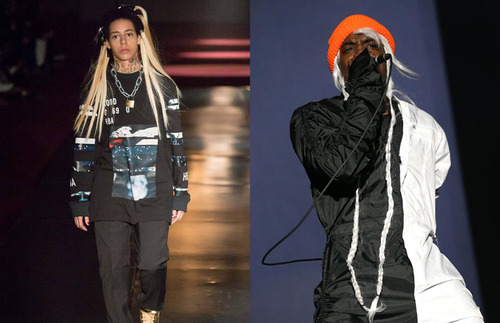 Both their looks seem inspired by Shayne Oliver’s FW14 collection for Hood By Air. 1. It’s the Paris Fashion Week collection we’ve all been waiting for. 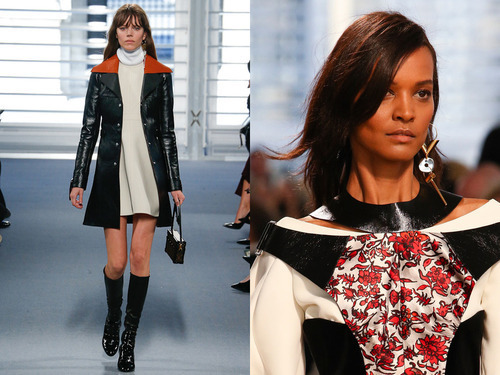 Nicolas Ghesquière premiered his collection for Louis Vuitton yesterday. There were nods to the ‘70s, but the collection was firmly rooted in the present with Ghesquière’s signature sci-fi futurist edge. “I believe that we form our own lives, that we create our own reality, and that everything works out for the best.” — Jim Henson. 2. Up Up and Away! 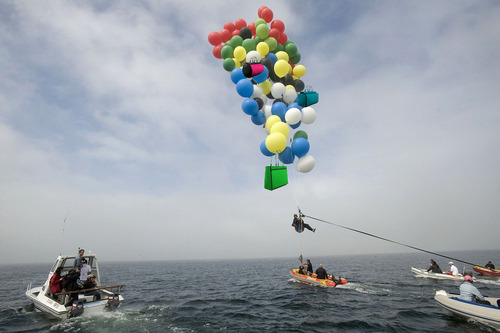 South African man flew six kilometers by helium balloons to raise money for the Nelson Mandela Children’s Hospital. 3. Times Haiku uses custom algorithm to scan NYT Articles for serendipitous poetry. Computers are poets and now we know it.